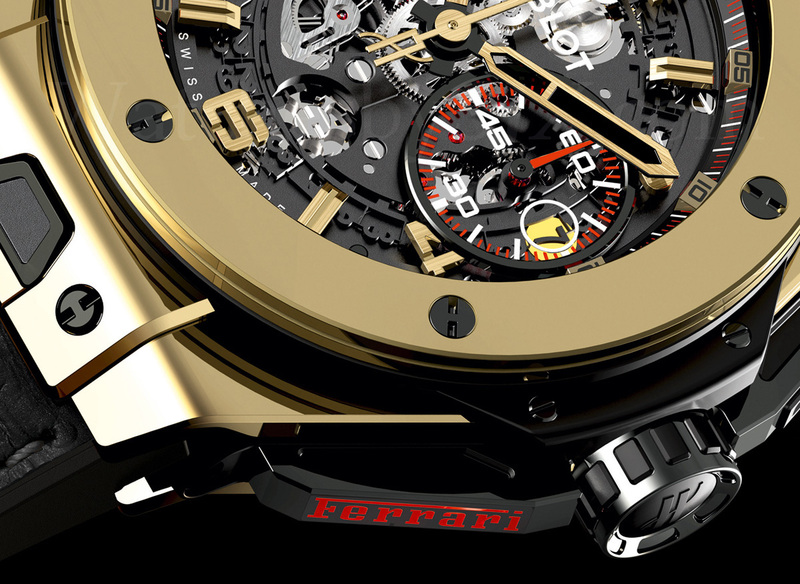 When Hublot and Ferrari announced their new partnership last year they celebrated the union with the creation of a special watch. That watch is the Hublot Big Bang Ferrari Magic Gold. Now admittedly, at $36,700, it is a mere snip compared to some watches in the haute horology class, but it is nonetheless a special Limited Edition watch of only 500 pieces whose value may well rise in years to come. One reason for this is the ‘magic gold’ from which it is made. Unlike just a normal rose gold or pink gold watch, it will not become scratched or tarnished over the years. In fact if only we humans could find such a formula for ourselves, we could remain forever young. The agreement between the Italian sports car masters and the steadily climbing fortunes of the Swiss ‘Maison’ is for much more than an agreement merely to supply watches, licensing or sponsorship. 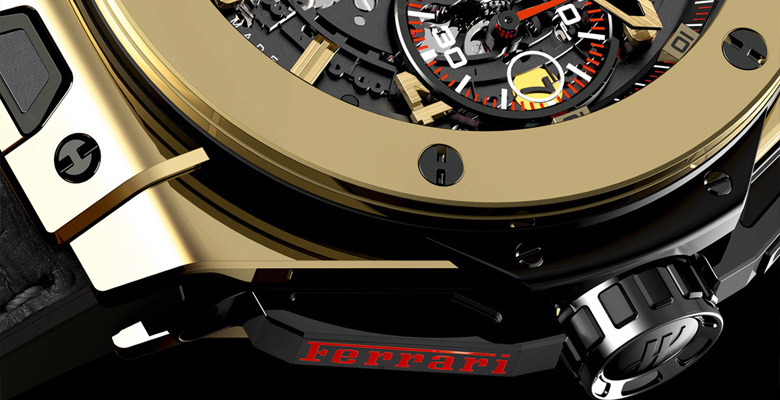 It is truly what they like to call a 360° partnership that encompasses all key activities pertaining to brand image and sales activities, including production of a “Ferrari Official Watch” and a “Scuderia Ferrari Official Watch” as well as Hublot becoming “Ferrari Official Timekeeper”, “Scuderia Ferrari Official Timekeeper” and “Ferrari Challenge Official Timekeeper.” Over the past year Hublot has been creating Big Bang Ferrari models expressly for exotic racing locales around the world, including most recently Mexico and Texas, USA. They have certainly hit on a winning strategy as the limited edition models tend to get snapped up fast every time they are released. The Hublot Big Bang Ferrari Magic Gold watch was launched at an extravagant unveiling ceremony in Japan last year where the first of the numbered timepieces was put up for auction. It was the Hublot Chairman himself, the genial and much travelled Jean-Claude Biver who won the watch with a winning bid of $48,980 which was donated to help Ishinomaki City, badly affected by the earthquake in 2011. Now for the reason the watch is something of a talking point, and punches above its weight in terms of desirability. 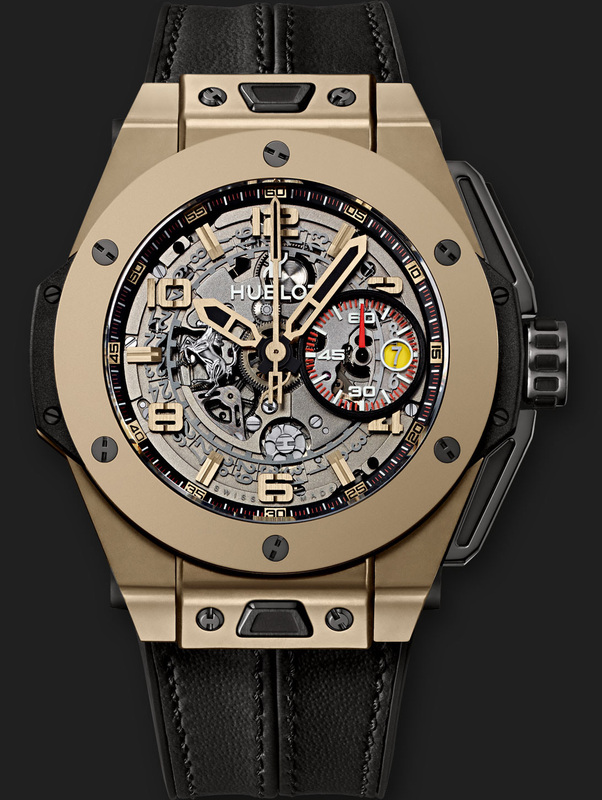 The watch employs a revolutionary new material developed by Hublot called Magic Gold. Unlike real gold which can be scratched and become tarnished over time, the 18ct Magic Gold used for this watch is scratch-proof and considerably tougher. This watch was also the first in a series that melds Big Bang’s exuberance with Ferrari’s sporty DNA by carefully fusing the style, the materials and the mechanics of the respective design codes of Hublot and Ferrari. The Hublot Big Bang Ferrari Magic Gold features an imposing 45.5 mm case with a cylindrical bezel that dramatically showcases the movement visible through the sapphire dial. There’s an indexed crown (with Hublot’s famous ‘H’ logo automatically positioning itself to remain in line) the pushers are fixed along a rotating axis like the pedals in a car whilst carbon inserts give the case its distinctive look. The minute counter hands and indices are designed to exactly emulate a Ferrari dashboard, positioned at 3 o’clock and complemented by the date window in ‘Modena’ yellow. The legendary Ferrari prancing horse is featured discreetly in relief at 9 o’clock. The gold raised numerals create a satisfying drop shadow against the black dial. In case you decide on a change of style, the watch comes with two interchangeable straps complete with an innovative ‘quick-change’ system inspired by the safety seatbelt mechanism on a Ferrari. The tone on tone stitching of the black rubber and black alcantara strap is an echo of the signature upholstery typical of Ferrari. The watch is powered by the in-house developed UNICO movement, specifically designed and developed by Hublot to power the Big Bang Ferrari. With no fewer than 330 components, oscillating at a frequency of 28,800 vibrations per hour, the column wheel and dual horizontal coupling on the dial side appear in a new constellation made to remind the wearer of Ferrari alloy wheel rims. This gleaming magic gold timepiece has a 72-hour power reserve, and is water resistant to 100 metres. If you want one make sure it comes with the original papers as the ‘magic’ will quickly fade if it is found to be a fake. 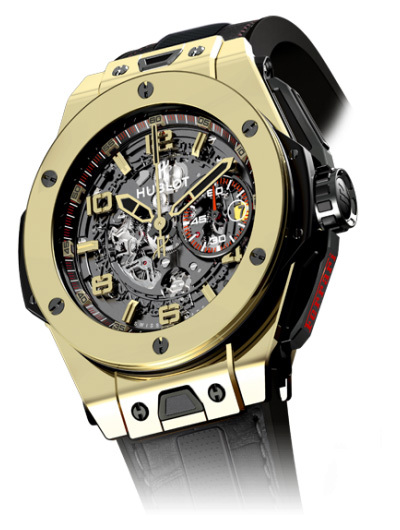 More resources about the Hublot Big Bang Ferrari Magic Gold on Watch-Anish, Perpetuelle, aBlogToWatch, WatchTime. 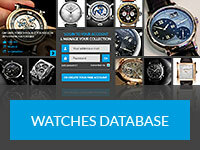 And on the Official Hublot Website.